In this clip you can see Leonardo Piepoli dropping back to help Riccardo Ricco. 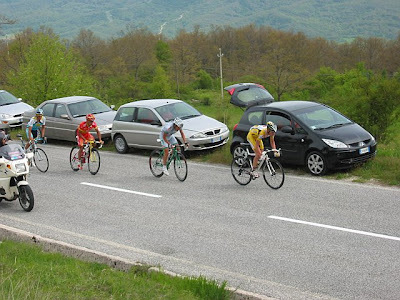 Di Luca tries to go but Ricco jumps and Danilo follows with Emanuele Sella and Albert Contador behind him. The main field is right behind them. Me and Kristine made it here in one piece. Went to watch the Giro yesterday and that was awesome. Perfect weather so far. Riding has been great. Heading up to Tuscany on Monday to see Sienna and Florence. Last week was super busy. Did the commute 3 out of the 5 days. Only got 1 mtb ride in on Tuesday (after riding 1 hour home. Blasted out the last of the stuff at Kristine's house to get it on the market. Had in imprompu open-house in Sunday. Last Thursday night some nasty weather rolled though the area. Several tornadoes touched down here in the KC metro for the first time in a few years. 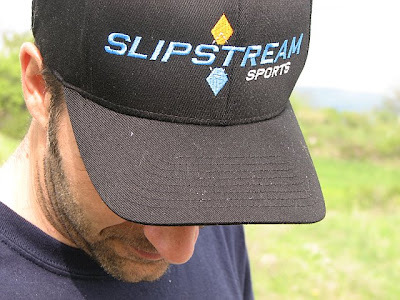 The awesome folks at Slipstream Sports set me and Kristine up with a bunch of swag for our Giro trip next week. 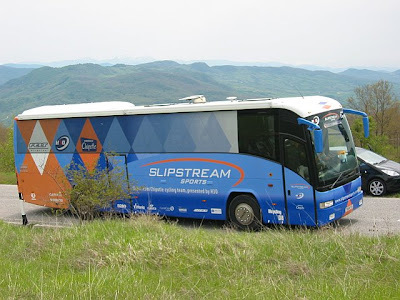 We'll be on the finishing climb of Stage 7 on May 16th cheering those guys on. Kudos to Kristine for contacting them.